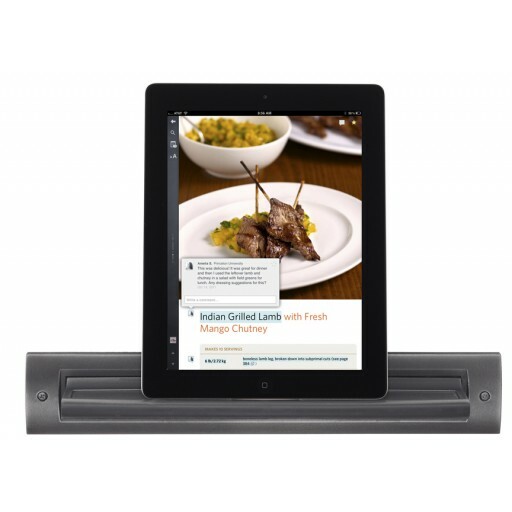 The kitchen can be a dangerous place for electronics, which is why RQ Home came up with this wrought iron tablet shelf to keep your touchscreen within easy sight and reach, but out of harm’s way. 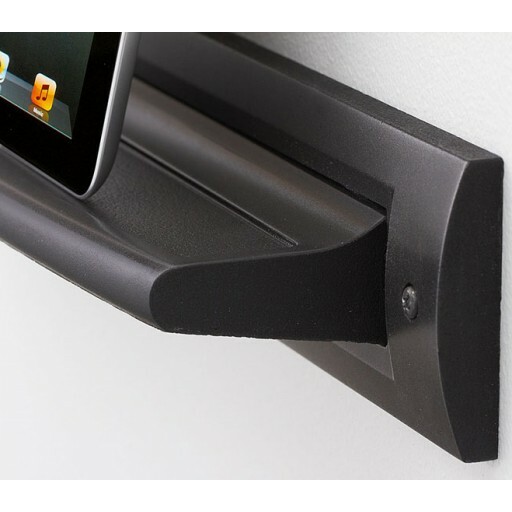 The shelf’s grooved molding holds your tablet securely in landscape or portrait mode, with a large oval hole to accommodate larger tablet cords. 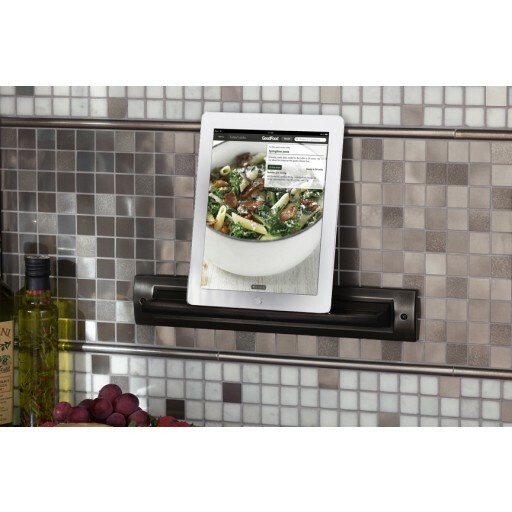 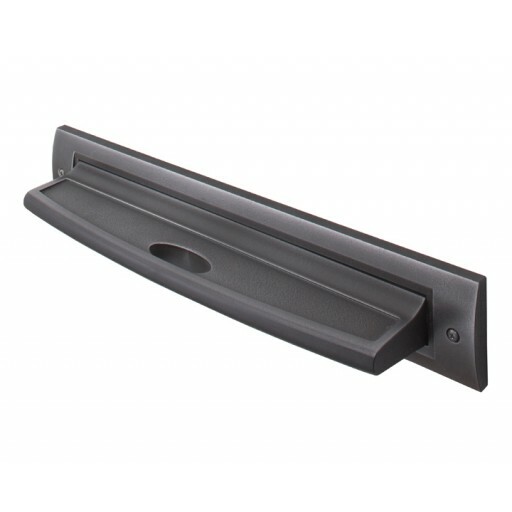 This tablet shelf is perfect over any kitchen outlet and attaches easily using only two screws.